Navid Deen returns with a very interesting article. 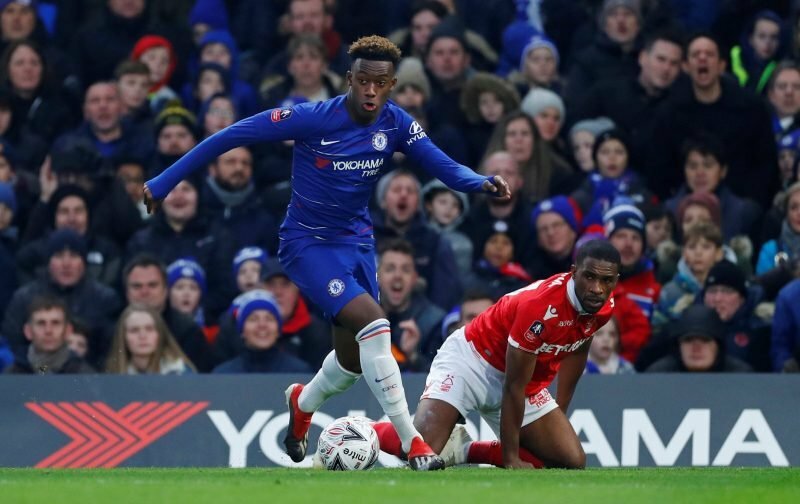 With all of this talk about Callum Hudson-Odoi allegedly having had his head turned by the fluttering eyelids of Bayern Munich, I have been wracking my mind about possible outcomes. If as reported, CHO wants to leave because he wants more playing time, then surely we are already on the road to feeding his hunger by starting him in the last two games. On Wednesday against Tottenham, he showed glimpses of what he has to offer. Now I have vast experience of watching Chelsea and football in general. Hudson-Odoi certainly has a spark about him. He has potential and Bayern are looking to turning that potential into something genuinely world class. Many a potential footballing star has diminished as quickly as it rose into the skies. I like Callum Hudson-Odoi, I like him a lot!! I want him to succeed but obviously, I want him to succeed at Chelsea. Selfish? Yes probably, but as a Chelsea fan since 1965, why would I want one of our brightest youngsters to succeed elsewhere. One might argue that I should think of him as an asset and money-spinning asset at that but no, I think of all that Chelsea FC has done to nurture him, develop him and put him in a position where he is currently the most talked about youngster in England. He is our asset and he SHOULD have a moral obligation to pay back some of the dedicated effort that Chelsea have placed in his development. But I know that such a notion is frowned upon nowadays as being out of touch with the new world. I cannot accept this. Chelsea supporters have stood firmly against everything including the depths of despair when we were relegated and often ridiculed because of our more recent successes on the field. Bayern to my mind have tapped up Callum and of course, real football transaction of players cannot take place without some form of tapping up. But Callum is 18-years-old. A young famous man and developing quickly. But he is not the finished article and he like all of us does not know what the future holds. He could go to Bayern and become successful or he could flop (I doubt the latter though). The one thing is assured, that if he stayed with Chelsea we the fans would love his decision and adore him for years to come. If he were to go, we would respect his decision and wonder what might have been. If he flops, he, in turn, might regret the day he left Chelsea and wonder what might have been. One thing is certain, the Chelsea fans would never have deserted him. Our legends are ingrained in our folklore and that is what Chelsea offers him. If after considering all this, he still decides to leave then so be it. No player is bigger than my beloved Chelsea FC. If he decides to leave, then Chelsea need to play Bayern at their own game. They clearly want him but how far are they prepared to go. Chelsea have a list of striker option that they are desperate to sign. I have suggested playing Ruben Loftus-Cheek up front with Hazard and CHO on either side of him but another unfortunate injury to RLC has thrown that out of the equation. I have also suggested Arnautovic or even Vardy as alternatives. So we are reportedly looking at Callum Wilson and Higuain among others. The striker most suited to our style of play is Aguero but there is little chance of getting him. Maybe even Alexis Sanchez? My preference would be Icardi as I cannot see the sense in buying an over 30-year-old forward for £50 million when Icardi at 25 offers twice as much potential in every sense. But if we are looking for a player that draws the defenders towards him more like a target man, holds up the ball and makes passing look easy then I would suggest an alternative. Never a phrase (kill two birds with one stone) seem so apt for what I am about to suggest. Let’s agree to Bayern taking Callum Hudson-Odoi IN RETURN for Robert Lewandowski. Lewandowski has it all and is still younger than both Higuain and Cavani. In my opinion, it’s the perfect swap and not something that Bayern would like at all. Comment:yes that’s a good swap. If no them callum is going no where . in areas of lookn for a striker I prefer icardi than higuahin. Is still young. Thank you. Nice point you got there but you never factored in that CHO has 18 months remaining on his contract and may refuse to put pen to paper for an extension thereby play into the patient arm of Bayern in the end. Won’t mind lewa honestly but why would he come here…..????. If he really does want to go, then yes, good call. nice idea good deal, plus 25 cash.if no, let them shut up. Comment:infact callum hosi doi is going no where. We are expecting something from him and puklisic in day’s to come.beryern should go away please. We sold DE brune. Salah.costa. etc. And today ll are suffering. And true fan of Chelsea.icardi in. Thanks. Thank you zylon. You have very eloquently proven my point. nice idea ,i like it,but the young star can stay. Really? Lewy for odoi? Not a fair deal, what has he done ……..yes his 18 but Lewy has done great things, broke records and achievements are outstanding, but for guy who mention Boateng and Rafinha wow you must know Bayern well then, I’ll say Renato for odoi with extra in my opinion, Lewy is one of the world’s or even best CF in the world for what a kid unproven in all conceptions? I prefer Luka Jovic from Frankfurt. LOLOLOLOLOLOL. Lewy has shown his worth for years! Odoi has shown really anything for that to even make since. Odoi has already stated that if they deny the latest bid he wont resign at the end of his contract so chelsea might as well get some money for him before they dont get anything at the end of 2020. Thats true my brother, but i will love him to stay with Chelsea.